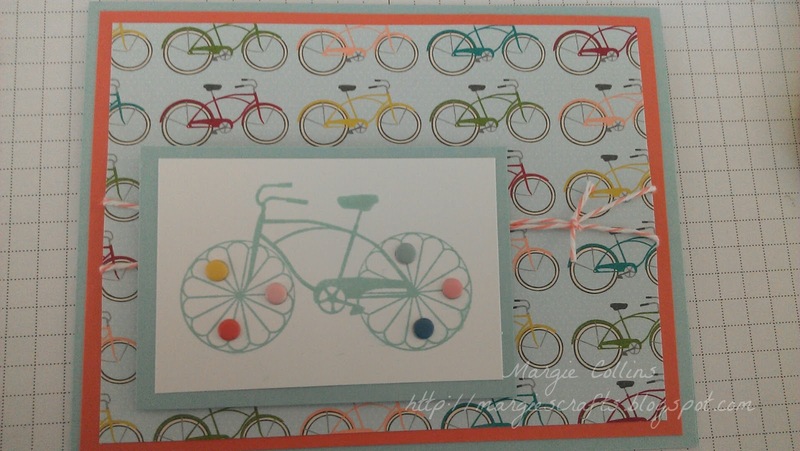 Margie's Crafts: Last day of Designer Series Promotion! Last day of Designer Series Promotion! Don't miss out on this fabulous deal to save 25% off Designer Series Paper! We all know that Stampin' Up! always puts out the best two-sided paper out there. 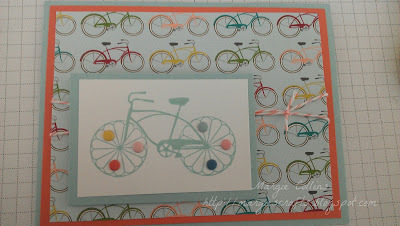 Here is a card I made using the Birthday Basics DSP. Tomorrow I will post this same card using a different layout and another print from this pack. I just love this paper! I bought 4 more packs using this fabulous sale so I could always have some on hand. Stay tuned for a special promotion from me & some blog candy in the next week. Happy stamping!